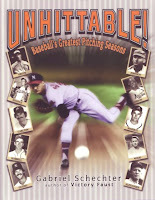 At the 2008 SABR convention, baseball historian Norman Macht gave a fascinating one-hour presentation on the pitfalls of accepting great stories as true simply because they sound great. 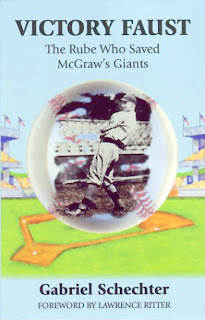 He discussed several classics, including one involving Lefty Grove that was attested to by several eyewitnesses, all of whom happened to be mistaken because the events detailed could not have happened when they were said to have happened. It was a cautionary presentation, reminding the aspiring historians in the audience that we shouldn't take anybody's word for anything, especially if they're telling the tale years after it (supposedly) occurred. The historian's task--his or her obligation--is to determine first of all whether a particular story could be true as told by its participants or witnesses, and if it isn't, to piece together the evidence that might be the source of the story. 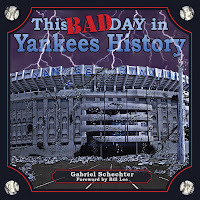 As I know all too well, my own memories of ballgames and events from decades ago are imprecise, often pieced together from bits and pieces of several games and congealed into a single sequence in my mind. That's how the human mind works. It happens to all of us. So it is with the story I'll detail here, a wonderful tale told by Doug Harvey to reporters in 1992 at the end of his 31-year umpiring career. I'm not debunking this story to embarrass Harvey or to suggest that he invented the story out of thin air. I think the world of Doug Harvey. During his career, I thought he was the best umpire I'd ever seen, and I still feel that way. His election to the Hall of Fame this year was long overdue. I'm writing this because, if historians have the means to determine whether events did or did not occur as claimed, we are obligated to set the record straight. He was a rookie, his first time in St. Louis, working his third plate game, Dodgers against the Cardinals. Ninth inning, two outs, score tied, full count, Don Drysdale pitching and Stan Musial coiled, ready to swing. Drysdale delivered. Doug Harvey, seeing the ball in midflight, raised his right arm, signaling strike three. It was 30 years ago, in 1962, but Harvey has not forgotten. The pitch broke to the outside and missed the plate by six inches. "And there I am standing with egg on my face, the crowd booing," Harvey recalled. "Musial never looked at me. He told the bat boy to bring him his glove. Then, without turning, he said, 'Young fellow, I don't know what league you came from, but we use the same plate. It's 17 inches wide.'" Immediately, Harvey learned two lessons: "That's when I realized why they called him 'Stan the Man.' And I learned not to anticipate the call." It's a beautiful story, told to illustrate how Harvey learned what he called "timing," that is the importance of that little "one-Mississippi" in an umpire's head before he makes the call. The problem is that it didn't happen. There are a lot of "facts" in there, details that pinpoint precisely when Harvey--in 1992, three decades later--felt it did happen. It turns out that almost none of those details are correct. Thanks to the whizzes at http://www.retrosheet.org/, who have posted the box scores for every game Harvey (and other umpires of the past fifty years) umpired in the major leagues, it is easy to verify--or refute--those details. Let's start at the start. Was Harvey's third game behind the plate in St. Louis? No, it was in Houston, where Roman Mejias (a right-handed batter, as opposed to the lefty Musial) struck out swinging to end the game. Harvey's fourth game behind the plate was in St. Louis on April 27. However, the visiting team was Cincinnati, the Cardinals won the game 14-3, and Musial didn't strike out. He grounded out twice, lined out, and singled. The Coffey version of the story includes this statement from Harvey: "I'd never seen Drysdale pitch. I didn't know what he could do with the ball." As a matter of fact, Harvey did see Drysdale pitch--in his second game behind the plate, in San Francisco on April 17. Drysdale started but got drilled by the Giants, surrendering seven runs before exiting in the seventh inning. Drysdale struck out four Giants, one of them on a called third strike: Felipe Alou, leading off the fourth inning. There isn't much there that could contribute to Harvey's tale, and it tells us that he did see Drysdale pitch before ever umpiring a Cardinals game. On May 11, 1962, Harvey umpired his seventh game behind the plate and his second one in St. Louis. The Dodgers were in town, but Drysdale didn't pitch that day. Stan Williams was their starter, and Musial did strike out looking against him--leading off the second inning. A second-inning strikeout with a 1-0 score hardly seems like the stuff of vivid memories, but that's as close as we get to a helpful fact from this game. Apart from that strikeout, Musial walked once and put the ball into play his other two trips to the plate. He did not bat in the bottom of the ninth as the Dodgers recorded an 8-5 victory. all games where he was in Harvey's vicinity at the plate. The next one wasn't until July 25, Harvey's 25th game behind the plate, also in St. Louis. This time Drysdale did pitch, at least until the eighth inning. But Musial didn't strike out. Facing Double-D three times, he popped out twice and, in his last trip, belted a two-run home run. Nothing there to contribute to Harvey's memories. He didn't call another Cardinals game until August 23, in Milwaukee. Musial didn't start, but he did pinch-hit in the ninth inning with his team trailing 3-2--and singled. Again, no help in figuring out where the details of the tale came from. Three days later, Harvey was behind the plate again in St. Louis, and Musial did play against the visiting Pirates. He had a big day with a single, a double, and a walk in four trips. In that fourth trip, Harvey called him out on strikes. But it was leading off the sixth inning against reliever Diomedes Olivo, a 43-year-old left-hander. It's hard to imagine Harvey confusing Olivo with Don Drysdale. Musial didn't bat in the ninth inning as the Cardinals lost 7-6. Harvey worked the plate in two more Musial starts in 1962. Stan the Man went a combined 3-for-8 in those games, including a home run, but he neither struck out nor batted in the ninth inning. So where does that leave us? Nowhere, really. We have a second-inning strikeout in May against Stan Williams, and no strikeouts against Drysdale. What about spring training? Maybe that's what Harvey remembered. I went through the March box scores in "The Sporting News" and found no Cardinals game where Harvey called balls and strikes. Next I looked at the other clues. There had to be some events that his memory patched together. It had to be an extra-inning game, with someone else's strikeout ending the ninth inning and the bat boy handing him his glove for the top of the tenth. Well, Harvey worked the plate in exactly three extra-inning games in 1962. The first was on May 16 at the Polo Grounds, where the Mets beat the Cubs 6-5 in eleven innings. But the final outs for the Mets in the ninth and tenth innings were not strikeouts. Next up was May 26 in San Francisco, when there were no strikeouts in the ninth inning as the Giants won 7-6 in ten. Finally, on June 29 he worked another extra-inning game at Candlestick Park. Again, there were no strikeouts in the ninth inning, though Tony Taylor of the visiting Phillies was called out on strikes to end the top of the twelfth inning before Ed Bailey's leadoff home run won the game for the Giants. So I came up empty on that potential evidence, too. Maybe it happened in 1963, Musial's final season in the majors, though it would be a stretch to think that Harvey was one year off on the timing of his "timing" epiphany. I found four games in 1963 where Harvey was behind the plate and Musial played. On April 14, Musial, pinch-hitting, did make the final out of the game as the Cardinals lost, but it was on a foul pop-up to the catcher. On June 1 and June 24, Musial started and went a combined 4-for-7, but didn't strike out in either game, nor did he appear in the ninth inning. Finally, on July 18, we have a close call. Musial (pinch-hitting) was called out on strikes by Harvey in the ninth inning. That's as close as we can get. Of course, it was in Cincinnati, not St. Louis; the pitcher was Jim Owens, not Drysdale; the Cardinals were losing, not tied; and it was Harvey's 65th game behind the plate, not his third. Other clues I examined were even less promising. Harvey did call two other games started by Drysdale in 1962. Both were complete games, one in Los Angeles, the other in Cincinnati, neither involving the Cardinals. In both games, the last out was a strikeout--but both times it was a swinging strike, one by Lou Brock (of the Cubs), the other by Marty Keough of the Reds. Exactly one time in 1962, Harvey called a batter out on strikes to end the game. That was at Dodger Stadium on September 4; the pitcher was lefty Ron Perranoski, and the batter was Orlando Cepeda. Finally, there was the game of June 29, 1963, also at Dodger Stadium. It was the bottom of the ninth, score tied, when Willie Davis struck out to send the game into extra innings. The pitcher was Bob Shaw of the Braves. The Los Angeles Times account of the game simply says that Shaw "whiffed" Davis, which suggests a swinging strike. That's the only time during the two seasons that Harvey and Musial were active together that a batter fanned to extend a game into extra innings with Harvey at the plate. Not much to go on. So we're left with an excellent story, the point of which was that it persuaded Harvey--virtually at the start of his major-league career--to change his ways. "Introducing timing to umpiring" is his legacy, the pioneering technique he passed on to the succeeding generation of umpires (a technique overdone by some of them, including Tim McClelland and Joe Brinkman). The inspiration for it came from somewhere. Harvey umpired more than 4,700 games in the majors, and it's reasonable to think that he jumbled a few memories into one sequence. His encounter with Musial seems too vivid to have been totally without basis. It's just that, after looking at the games Harvey umpired in 1962-63, I can't find that basis. These "stories" pop up in all walks of life. I think by the end of our lives, people don't even remember whether it was real or not. If you read stories about Satchel Paige, it is so difficult to tell how many of those stories are/could be true. Same with Bob Gibson, Babe Ruth, all the greats. I think that is what makes the stories so interesting though is that the person was so unbelievable at what they did, it makes the unbelievable story, believable. That's a good point, Robin. My first ballpark memory is quite vivid, but every detail of it is impossible according to Retrosheet. Still, sometimes you can find the disparate threads that become woven into a single tale, and I was surprised that I wasn't able to find anything solid in this case.